Filipino two division and the current IBF world flyweight champion Johnriel Casimero wants to win all belts in 112 lbs (flyweight) before attempting to follow Roman Gonzalez in the super flyweight division. 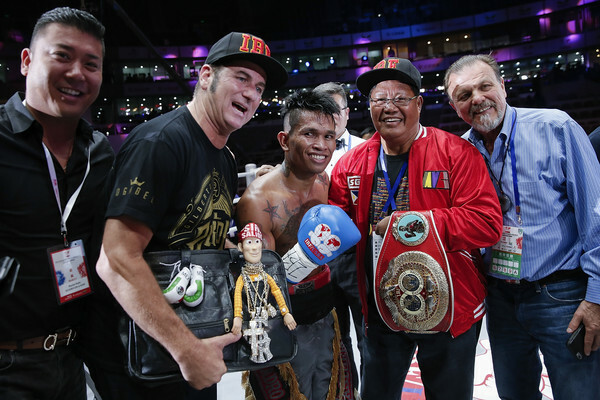 Casimero won the IBF flyweight belt against Amnat Ruenroeng last May 2016 and successfully defended it last week against Charlie Edwards of UK. Therefore, Casimero is currently next target are the WBA and WBO champion Juan Francisco Estrada, WBC champion Kazuto Ioka of Japan and the IBO Champion Moruti Mthalane of South Africa.